Paper is one of the noblest and liveliest methods of communication, meaning the most prestigious schools and associations request fruitful and exciting partnerships with us. HEAR: Haute école des Arts du Rhin. The partnership provides for exchanges of paper, creativity and know-how. We regularly open our doors to students for factory and workshop visits. Mission signed with Camille Aurière, young visual artist and recent HEAR graduate. 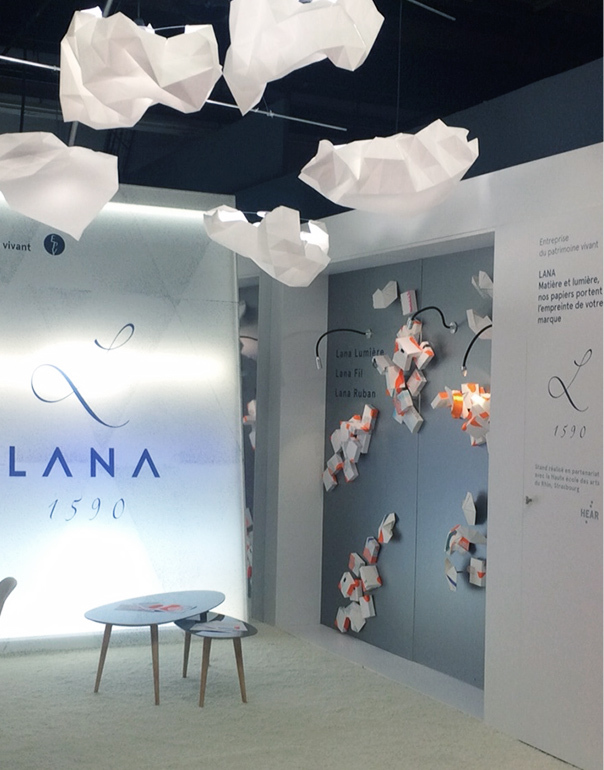 Design of 'cloud lamps' using Lana "light" paper. Aesthetic highlight of our stand at the PCD in February 2015. 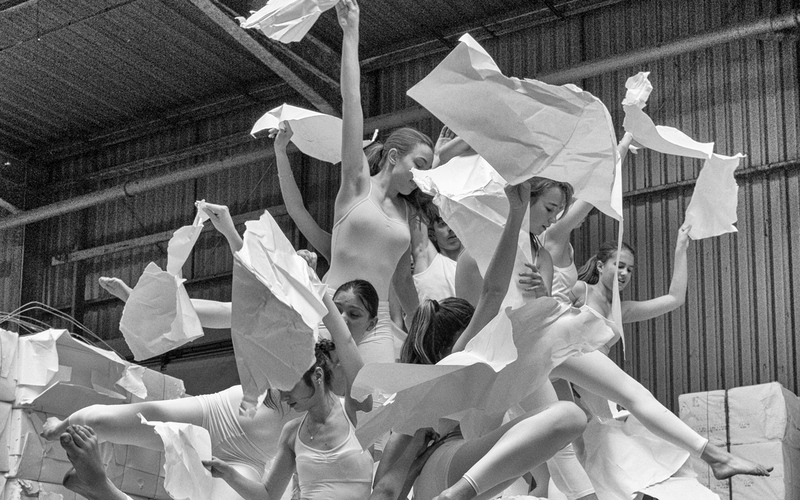 Filming of dance scenes, Lana paper mill. June 2014. Illustration festival in Strasbourg in April 2015 and 2016. Illustrator association, schedule, 2015, 2016. "Die Gedanken sind frei". Juillet 2015, 2016. Partnership during the 150th anniversary of the league, June 2016. Contribution to the printer festival in June 2014 and June 2016. Co-organisation of the 'paper festival' in June 2016. 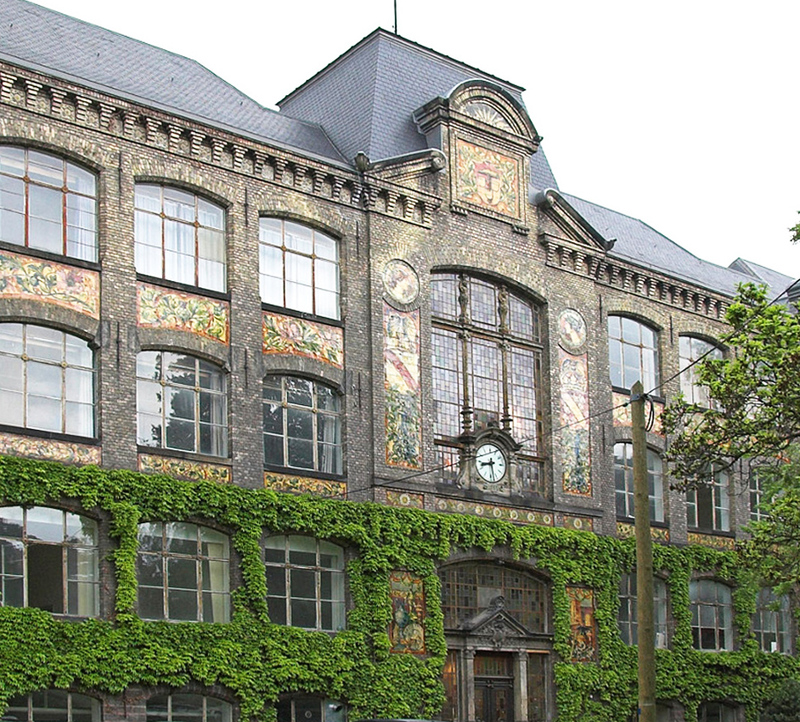 Security Printers, Intergraph in Copenhagen, Denmark. Security Printers, Intergraphic in Vienna, Austria. Inspiration at Work / Stallgeflüster, Hamburg, Germany. Security Printers, Intergraph in Seville, Spain. Inspiration at Work / Stallgeflüster, Gelsenkirchen, Germany.